Hitting the easy button on a weeklong vacation to Costa Rica is a no-brainer when you rent from a fellow Birmingham native. 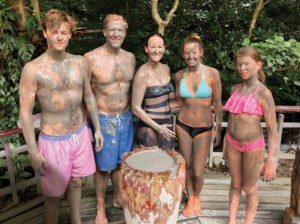 Mountain Brook resident Ila Worthen and her family have owned and operated The Villas of Costa Rica (crvillas.com) for almost 20 years. 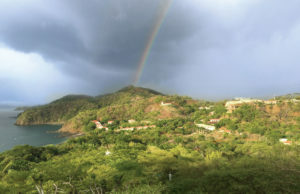 In that time, they have developed an intensely loyal network of tour operators, household staff members, and dream-vacation makers in the Central American hamlet. Choose from four all-inclusive villas with a range of square footages—each with a private pool. 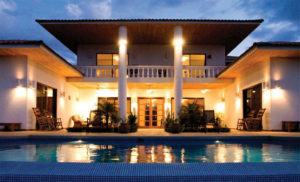 The Worthens’ favorite is the Villa Puerto Escondido with four bedrooms and four baths. 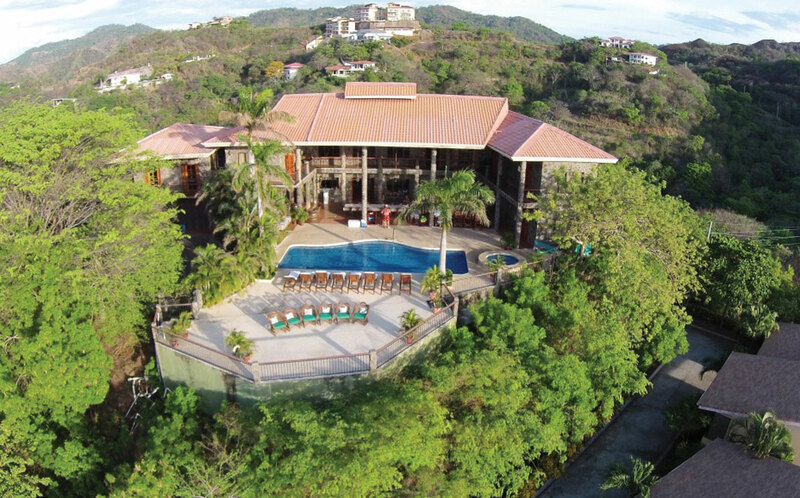 The Villa Puesta del Sol with nine bedrooms can accommodate almost any size family or group get-together. Often, several Birmingham families will book adjacent villas in the gated community so that the good times can flow from casa to casa and pool to pool. Each of the four villas boasts a full-service staff, including a cook, housekeeper, and houseboy/bartender. Breakfast, lunch, and dinner all feature the region’s traditional smoky black beans and rice, as well as plenty of fresh fish and local produce. The house-made guacamole and salsa is a specialty. If you choose to amble down to the beach and hang with locals at Father Rooster, you’ll find the beer is always cold. Should your daily excursions take you off property, you’ll discover there is no shortage of dining options. Allan Murillo with Costa Rica Tours is Ila’s local go-to for adventures. See howler monkeys and iguanas on the Palo Verde National Park River Cruise. Zipline in a Jurassic Park-worthy setting before enjoying a volcanic mud bath at the Borinquen Resort. Learn to surf in world-famous Tamarindo. Catch a glimpse of a sloth on a rainforest hike. Tackle some class-3 rapids, or explore the area’s terrain on ATVs. Every excursion includes transportation and tons of local knowledge from Allan’s top-notch, English-speaking staff. 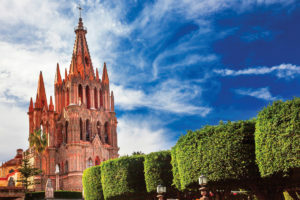 San Miguel de Allende in Central Mexico may not have a beach in sight, but it rivals the coastal towns with its alluring colonial architecture, vibrant facades, winding streets, art galleries, high-design shops, sophisticated restaurants, and local markets. Voted the best city in the world two years running by the readers of Travel & Leisure magazine, it feels more European than Mexican. A designated UNESCO World Heritage site, San Miguel has remained authentic while serving locals and tourists alike. The city is centered around a main square, El Jardin, where its iconic pink church overlooks the town’s sometimes lively, mostly laid-back vibe. 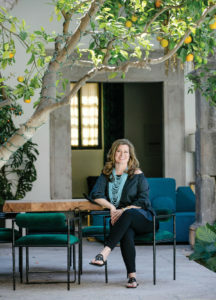 “When I told my friends I was moving to Mexico 16 years ago, they immediately asked, ‘Which coast?’ ” says Alabama expatriate Katharine Hibberts. “My answer? Neither. 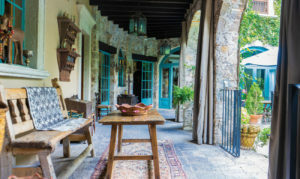 I was moving to Central Mexico—in the Mountains.” Though her friends were dumbfounded at the time, anyone who has visited Katharine since understands the allure of her new hometown—San Miguel de Allende. Leon International Airport is nearest to San Miguel and is just under a four-hour flight from Atlanta. Once you land, it takes a little over an hour to drive to San Miguel. Rental cars are an option but shuttle service is advised. Once in San Miguel, there’s little need for a car. The town is very walkable as long as you have comfortable rubber-soled shoes for the cobblestone streets. Cabs are plentiful and inexpensive. To find out about weekly events in the city, be sure to pick up a copy of the local paper, Atención. It comes out every Friday and is printed in both Spanish and English. San Miguel de Allende boasts plenty of dining experiences. Leisurely breakfasts are an especially big deal in the city. Dine on pastries and huevos rancheros in the garden at Posada Corazon, or take in the city views at Cafe MuRo in the hills above town. Lunch is easy with the wide variety at the food hall, Mercado Centro. When late afternoon arrives, start with cocktails at the Rosewood’s rooftop bar before wandering over to Sollano 16. Wandering the city’s 64 blocks is an adventure in itself. Galleries, design boutiques, and local flavor (think parades, markets, street vendors) are everywhere. For adventure, book an excursion with Coyote Canyon Adventures. Their trail ride is far from a pony show. Guided by authentic rancheros, you can expect to see plenty of cattle roping while navigating the canyon and crossing streams. You’ll finish up with lunch at a local ranch.